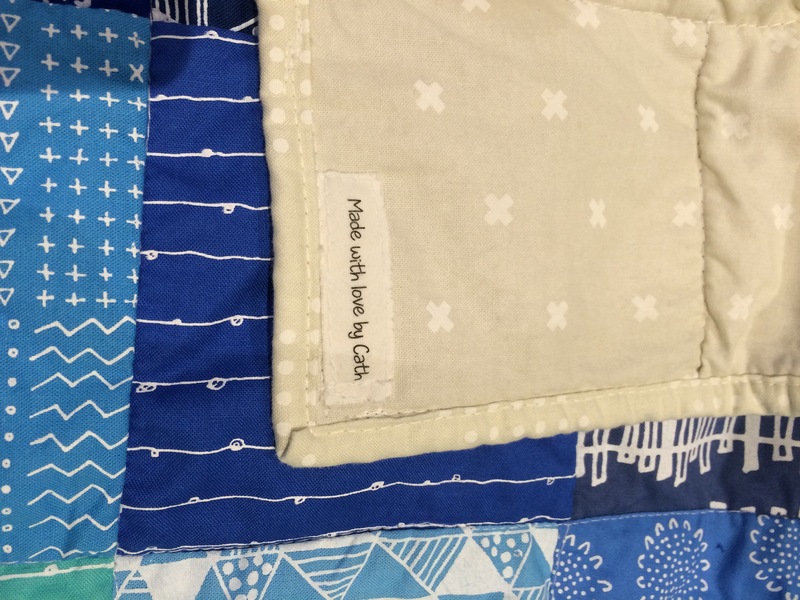 The inspiration of this quilt is Karen Lewis‘ fun Blueberry Park prints from Robert Kaufman Fabrics, plus some of her limited hand-printed fabrics. There are a few other pieces of fabric, especially in various yellows, because of my colour preferences, hence why I’ve called it “Blueberry Plus”. 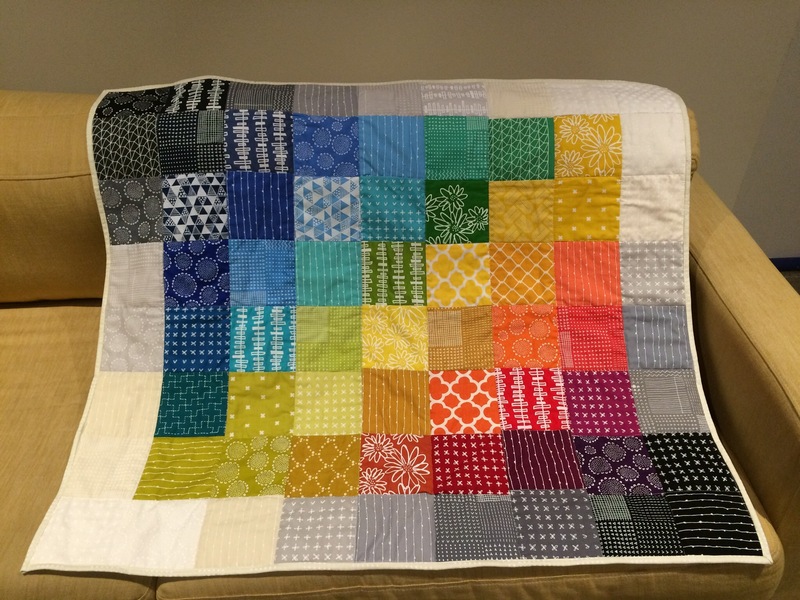 This quilt consists of 72 x 5″ squares of fabric (“charm squares”), in a 8 x 9 configuration. I chose this size to fit the backing fabric I wanted to use, a lovely piece of Cotton + Steel Basic fabric that I had picked up as a bolt end. I also got a piece of another Cotton + Steel Basic print for the binding. And I used a lovely soft 50/50 Cotton/ Bamboo batting from SewEasy for this, my very first real quilt. Based in the advice of Jessy Ratfink, I also invested in a walking foot for my sewing machine, to make the quilting part easier. 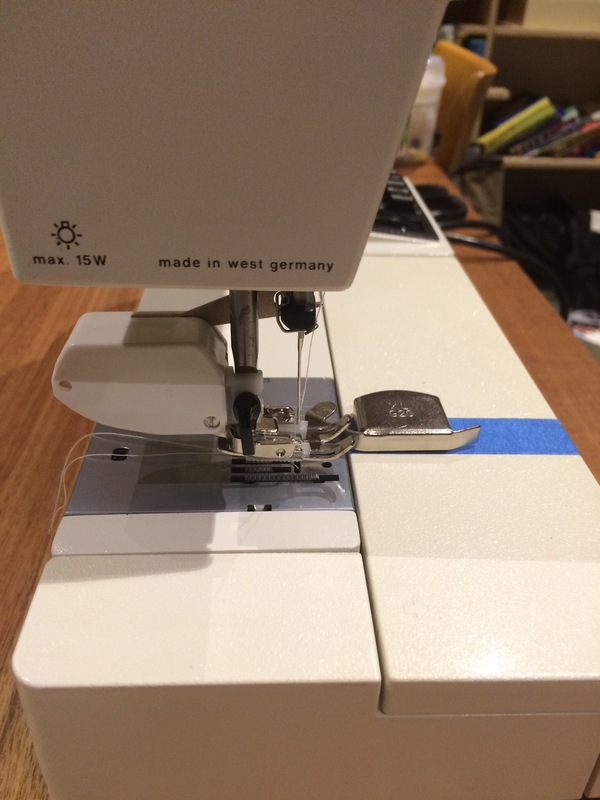 I also invested in a magnetic seam guide (plus some painters tape stuck to the machine) to aim for more accurate 1/4″ (6mm) seams. 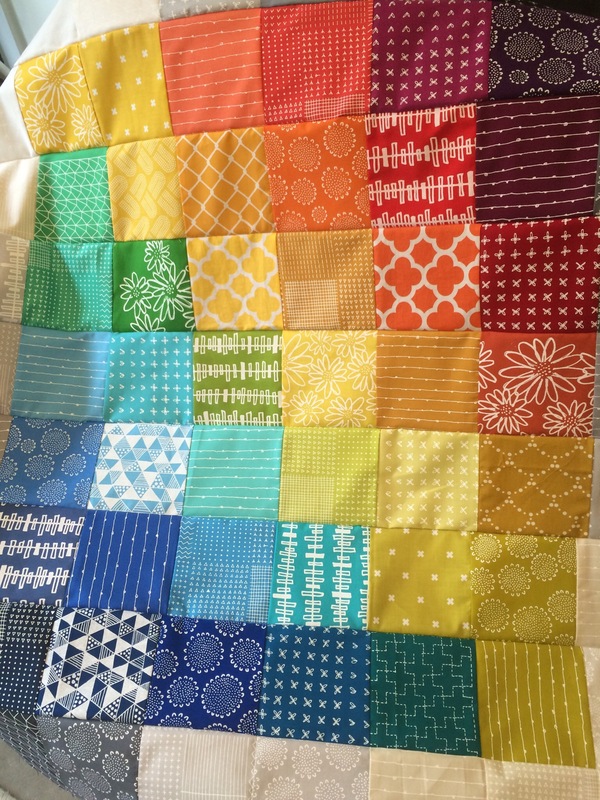 I used the patchwork skills I had gained from making 3 blankets previously (without quilting: #1, #2, #3), and now had the confidence to turn a piece of patchwork into a REAL quilt this time! I relied strongly on the great advice and tips from Amy Smart, as well as the other websites mentioned throughout. I sewed each row of squares together, with 1/4″ seams. I then sewed the strips together and trimmed the edges. I then made a “batting sandwich” and used 505 Spray and Fix to baste the patchwork quilt top and the backing fabric to the Cotton/Bamboo batting (right sides out). 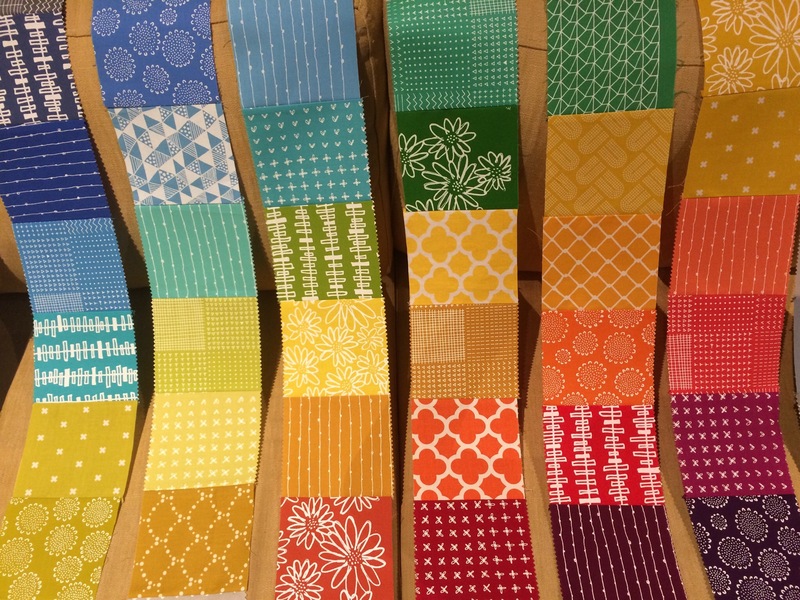 Then I used my new walking foot on the sewing machine to “stitch in the ditch”, quilting the 3 layers together along the seams of my patchwork of charm squares (5″). I then followed Allison of Cluck Cluck Sew’s wonderful binding tutorial to make and attach my binding. And voila I had my very first, homemade quilt! So pleased with the colours and textures and how it all worked out so well, even if my stitching isn’t perfectly straight!